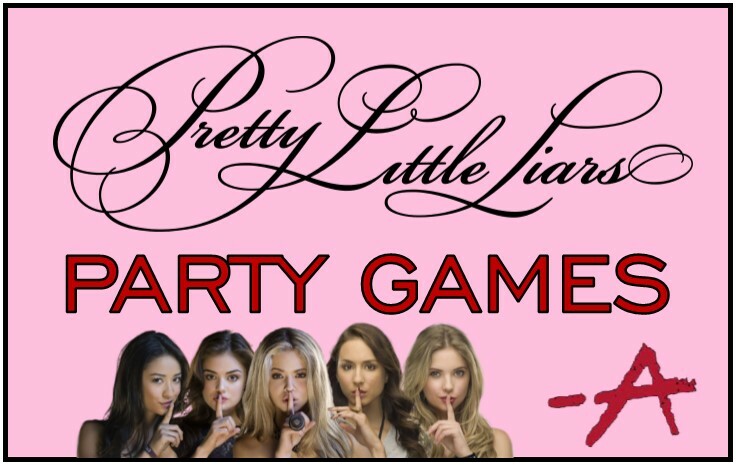 Pretty Little Liars party games and ideas! 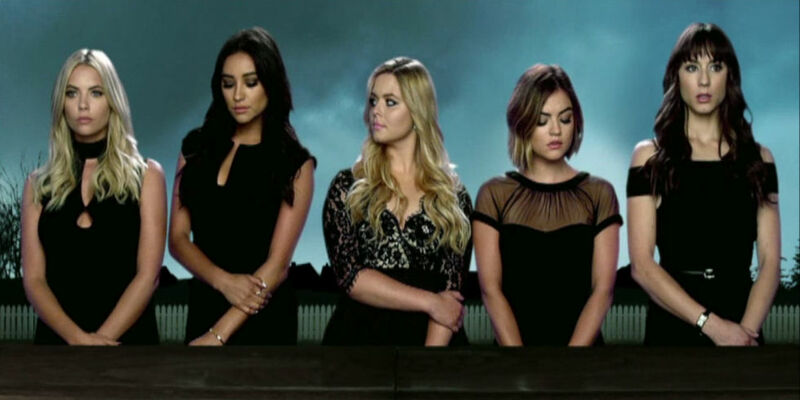 Let us help you make hosting a Pretty Little Liars party a breeze with these game ideas that will make your PLL bash one not likely to be forgotten! Uh-oh. You're throwing a party and "A" has decided to make things a little more interesting. 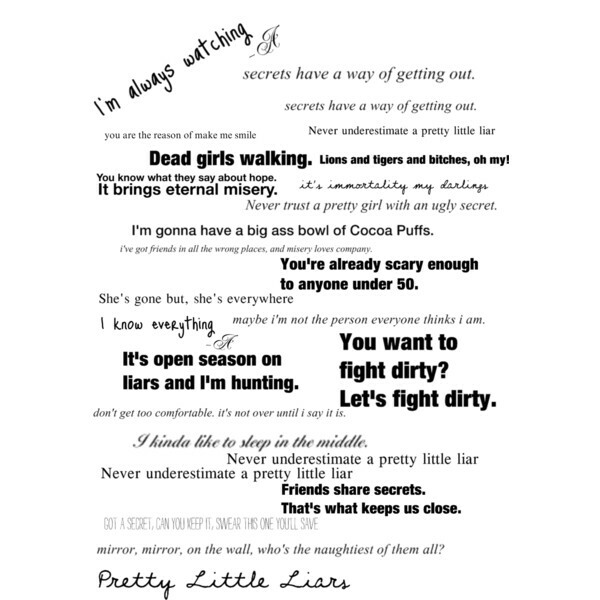 These game ideas will bring the heat of Pretty Little Liars to your next party, so make sure that you're ready! This game is all about secrets! You don't have to prepare anything special to play this game, but it can be more fun if you wrap up several small prizes (like nail polish) to be mini prizes. Have all guests sit in a circle. Each person should say two things: one is a true secret and one is a total lie. After they're finished, they ask who thinks they are telling the truth and who thinks they are lying. If the person tricked more than half of the people playing, they get a small prize or a point. Keep going around the circle to have some fun while also learning lot of little secrets! 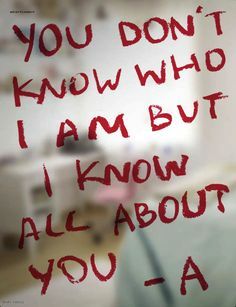 Pretty Little Liars is all about finding the truth of who someone really is! 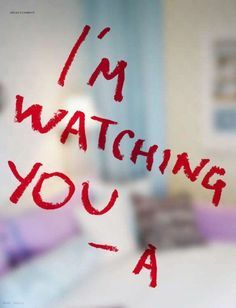 Get a pack of post-it notes and write the names of as many characters from Pretty Little Liars as there are guests. Then, stick one one every guests forehead of back without telling them who they are. Then, guests should walk around and talk to each other. You have to act towards the other guest as you would treat their character! The first person to figure out who they are gets a prize. Split your guests into two teams. Fold up the character's quotes papers and put them into a bag. One player from team A should go up and pick a piece of paper from the bag. Set a timer for one minute. Team A's player should read the first quote. Everyone on Team A can discuss and then guess the character. If they're wrong, Team A's player should read the second quote, etc, until they get it right.Then, Team B does the same thing. VERSION 2: Create a list of quotes from -A, and some that sound like they might be from -A. Mix them all up and print out a list for each player. Have them guess which quotes are from the real -A and which are fake. The player with most correct wins! If you've ever played the game Mafia or Killer, this is similar - just updated with a twist to be all about our favorite show! This game is best with 10 or more players. For this game you will need an envelope for each player and a note card for each player. On all but one note card draw a star, on the one left make the infamous -A mark. Place the note cards in the envelopes. There is no need to seal them, just make sure you cannot tell what they are from the outside of the envelope. Place all the envelopes in an empty purse and mix them up. Everyone sits in a circle and draws an envelope from the purse. Everyone is allowed to look at their own envelope, but do not show anyone what it is. The person who draws the -A is now the Real -A. Now everyone trades their envelope with another player. Again everyone looks at their envelope without revealing to others what they received. Now trade it off a second time, but they cannot trade it with the same person they did the first time. Everyone looks at their envelope again. On the count of three the two people who drew the -A during the first and second trade fall down and play dead. The rest of the players each must make a guess as to who of the remaining players is the Real -A (the one that actually drew the -A from the purse). The real -A should of course not guess herself because she does not want to give herself away. If more than half the players accuse the right person of being the Real -A then whoever played -A must sit out for the rest of the game along with the two people she killed. 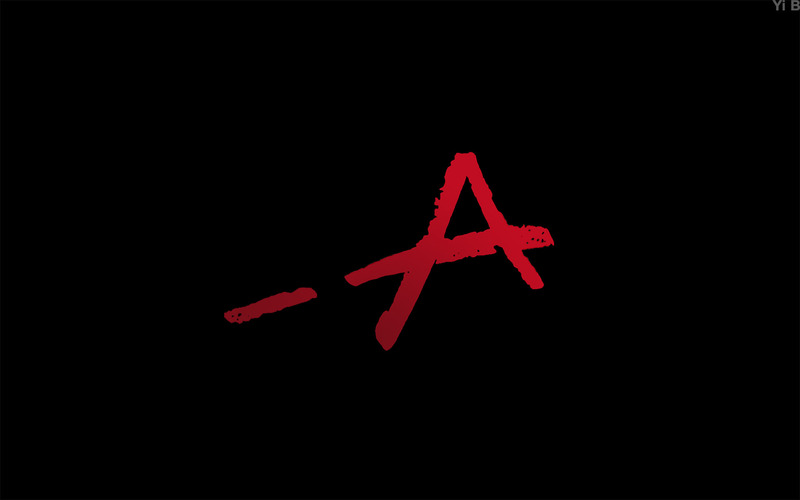 If -A is not identified correctly by more than half the remaining players then the player who was the Real -A, along with the two people she killed gets to stay in the game for another round. Place all envelopes back into the purse, making sure to remove as many star envelopes as there were eliminated players in that round. and play another round until only 4 or less players remain. When game is down to 4 or less players place the four remaining envelopes back into the purse. All four players draw again, but this time they do not trade. Each player takes a guess as to who drew the -A card. If no one accuses the Real -A, then she WINS the game. If anyone accuses the Real -A then the the Real -A is out of the game along with all the players who made the wrong accusation. The remaining players WIN! Just what it sounds like: charades! Write down lots of people and things from the show and put them in a purse or gift bag to choose from. Split everyone into teams, and have a player from each team act out the word - without speaking! - for the rest of their team. The secret to success in Pretty Little Liars is your ability to keep a secret from everyone, even your closest friends! This game will test that ability! You'll need a pack of Oreo's and something spicy, like wasabi! Put a cookie on a plate for each guest. Wearing a pair of glove, add a TINY bit of wasabi to the inside of one of the cookies! Make sure you tell the other players how the game works in case one of them is allergic. Everyone should stand together and take a cookie. They should eat it while looking at each other. If they get the wasabi cookie, they should try their best to keep it secret! This player gets a small prize if the game if they manage to trick everyone into thinking they ate a normal Oreo. Get 20 or more balloons and slip a piece of paper into each balloon. One balloon should have a paper that says "A" inside of it. Inflate the balloons. At the party, divide everyone into pairs. Every team picks the balloon they think "A" is hiding in. Then, everyone starts popping their balloons! To pop it, the partners have to hug and squeeze the balloon between them until it pops! If they don't get "A," they can pick up another balloon and begin popping it the same way. The team to find "A" wins! May the Best -A WIN! "A" was always one step ahead of the game. 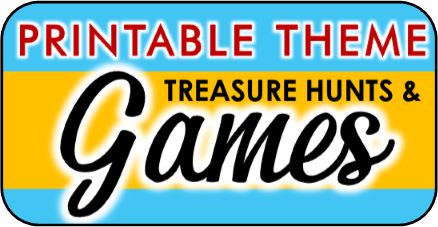 To win this game, your guests will have to be, too! When each guest arrives, place as many post it notes as you have guests on their back of each guest. Have that guests name on all of their post-it notes. 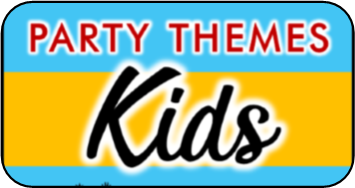 Throughout the party, guests should try to take one name from every person at the party without getting caught! Whoever collects all the other guests' names first is dubbed "A" and wins!